John Morgan, chair of the Emory University Board of Trustees, sent the following message via email to the Emory community on April 11 to update the status of the presidential selection process. I am writing to provide you with an update on the progress being made by the Presidential Selection Committee. As you know, the committee spent most of January and February meeting with a broad range of constituents and stakeholders across the Emory community. The committee hosted 40-plus intensive listening and dialogue sessions to gather input and perspectives from faculty, staff, students, alumni, Emory Healthcare physicians, and other members of the community. We also used online surveys to reach out to our alumni and Emory Healthcare employees. These sessions and the survey feedback were powerful, informative, and useful in framing the selection of a new president. From those sessions and the trove of information that was gleaned and compiled from them, the committee developed the prospectus for the position — approved by the Board of Trustees — that has been informing and guiding the selection process. 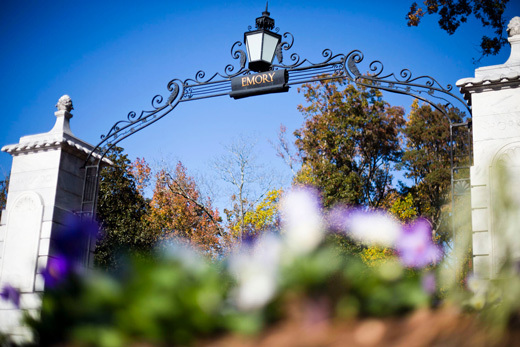 During the past six weeks, the committee has been immersed in meeting, interviewing, and assessing a talented and diverse pool of candidates for the presidency of Emory. It is evident that the position is viewed as a plum position in higher education. Emory is indeed fortunate to have such a high profile and such an outstanding external reputation for its scholarship and leadership. I am pleased to report that the committee is adhering to the timeline we set for ourselves in December. We have completed the initial round of interviews with candidates and are now in the process of narrowing the field to an even smaller number of candidates. Our plan is to present a finalist to the Board of Trustees for review and approval this summer. As I have said from the beginning, our committee’s top priority is to find the right president for Emory. I am confident the committee is committed and on track to deliver on that promise, as well as that expectation. Should our timeline be altered, my commitment and obligation is to communicate that to the Emory community. We will continue to keep you informed as the selection process moves into this critical next phase. Our challenge, indeed our unwavering commitment, is to strike a balance between the Presidential Selection Committee’s dedication to transparency and the absolute necessity — and expectation by candidates — of maintaining strict confidentiality. The candidates under consideration have an unquestionable and understandable assumption of complete confidentiality throughout the process. They trust us to maintain this confidentiality so as not to compromise their current positions. Therefore, the Presidential Selection Committee will continue to conduct the selection process under strict confidentiality as we move through the next steps. Finally, I wish to express my deepest gratitude to the Presidential Selection Committee for their tireless efforts thus far. I simply could not ask to serve with a more thoughtful, engaged, and enlightened group of individuals.